I hope you are having a fun weekend. We would like to see 'Clean and Simple' cards that have some silver on them. A square card with that much loved snowflake stamp from Visible Images. I am forever using it and this time stamped it in delicata sliver ink. I then die cut a 'Joy' sentiment a number of times with the top layer being cut out of silver glitter card. This is one of my fav Christmas cards this year. The layout is based on the sketch from Freshly Made Sketches using my snowflake as the circle. Our DT and Marianne have made some amazing cards for you. 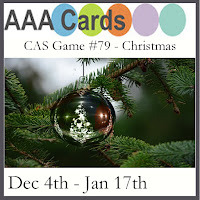 Pop on over to AAA Cards and you will be inspired I guarantee. Time for you to take a little break and craft with us....make those card 'Clean and Simple'!! Beautiful CAS card... very modern and could go to anyone, from religious to non-religious, young to not-so-young. Sandie, you have such a knack for turning the simplest elements into a stronig and beautiful creation. I love that snowflake, and it can be used in so many ways. I love the sparkly "JOY". That word is so powerful, and you have used it so wonderfully here. Love how you let the die cut JOY be center stage. Fabulous! Rocking that Visible Image stamp Sandie! Love this silver beauty of a card. This is beautiful and festive! Love the sparkle and glitter. Thanks for joining us at Freshly Made Sketches this week! Silver white - a perfect pair !!! I love it!! I love this CAS but with glitter! Congrats on being the LIM winner. Absolutely fabulous! I love the impact that the large JOY has on your card! This is stunning...love the idea of the silver Joy over the snowflake. Gorgeous! I love the white and silver. Such elegance! Glad to see you this week at FMS! Beautiful! It is easy to see why this one is one of your tops! What a wonderful design, love the starburst design. 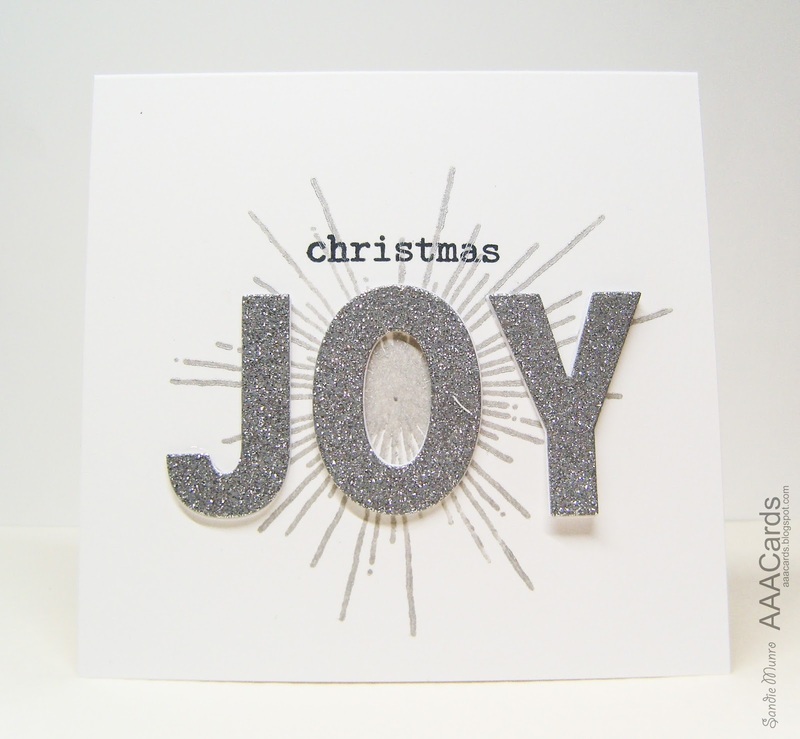 Love that glittery Joy and the sunburst accentuating it. So pretty Sandie! Love the shimmery sentiment! So late in doing a bloground...bit bussy here :) Love that versatile snowflakestamp in the silver aswell! And you word pops so beautiful! Hugs and stay warm! Ooooo, Sandie! Sparkly JOY! I love it. Beautifully CAS, as always. :) Merry Christmas!